On May 3, Isabelle Daunais, of McGill’s Département de langue et littérature françaises, will be awarded the Canada Council’s Killam Prize for the Humanities at a ceremony at Rideau Hall in Ottawa. The Killam Prize remains one of Canada’s most prestigious awards, worth $100,000 and given annually to five researchers in the respective fields of humanities, social sciences, natural sciences, health sciences and engineering. Isabelle Daunais, of McGill’s Département de langue et littérature françaises and Canada Research Chair in the Esthetics and Art of the Novel is the winner of the 2016 Killam Prize in the Humanities. What does a novel communicate about the world of its inhabitants? What can it teach us about our relation to the world that other forms of thought do not teach us? 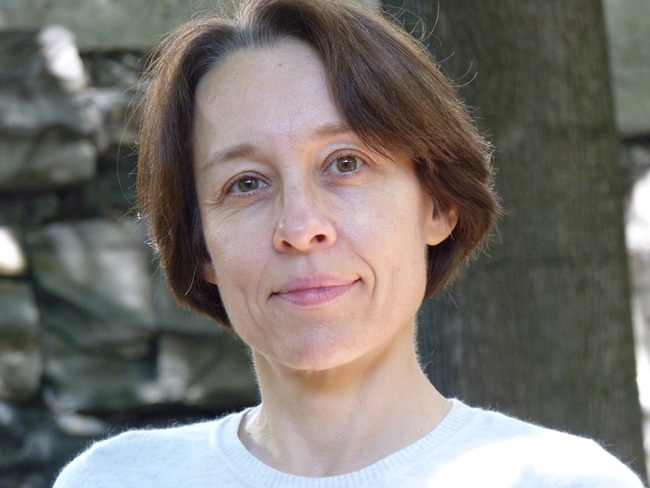 Prof. Isabelle Daunais, of McGill’s Département de langue et littérature françaises and Canada Research Chair in the Esthetics and Art of the Novel, engaged with these questions to critical acclaim in her 2015 book, Le roman sans aventure (Les Éditions du Boréal), and they continue to inform her research today. The strength and resonance of her scholarship are being honoured on May 3, when she will be awarded the Canada Council’s Killam Prize for the Humanities at a ceremony at Rideau Hall in Ottawa. The Killam Prize remains one of Canada’s most prestigious awards, worth $100,000 and given annually to five researchers in the respective fields of humanities, social sciences, natural sciences, health sciences and engineering. “Quebec has not been confronted with wars. There has been a kind of isolation that has protected Quebec from history with a big H, and from any dramatic or unforeseen transformation,” she says. Daunais’ research for Le roman sans aventure deals only with novels published through the early 1990s. If she were to write a sequel about the contemporary Quebec novel, she believes she would be dealing with a different Quebec. “A lot has changed in Quebec since the early 90s,” she says. Prof. Daunais’ history at McGill far precedes 2004, when she arrived here as a professor. She completed her undergraduate, master’s, and doctorate degrees here, spending a year on an exchange at the École Normale Supérieure in Paris. After teaching at Université Laval, she returned to McGill. Over the years, she has built an international reputation as a scholar of 19th century French literature, particularly Flaubert and realism. Charles Gale, James McGill Professor in the Department of Physics, honoured for his project, Nuclear Matter under Extreme conditions: Elucidating the Properties of the Quark-Gluon Plasma. Andrew Gonzalez, Department of Biology, Canada Research Chair in Biodiversity Science, recognized for his project, From science to solutions: biodiversity science for global environmental change. Stephen McAdams, Schulich School of Music; Canada Research Chair in Music Perception and Cognition, recognized for his project, Timbre on my mind: Toward a perceptual foundation for a theory of orchestration.